Amazon is now offering the Spess 50-Mile Amplified Digital HDTV Antenna SP-158A for $17.99. When you input the Coupon code “60YN6V2K“, the price reduces to $7.20, with free shipping for Prime members! 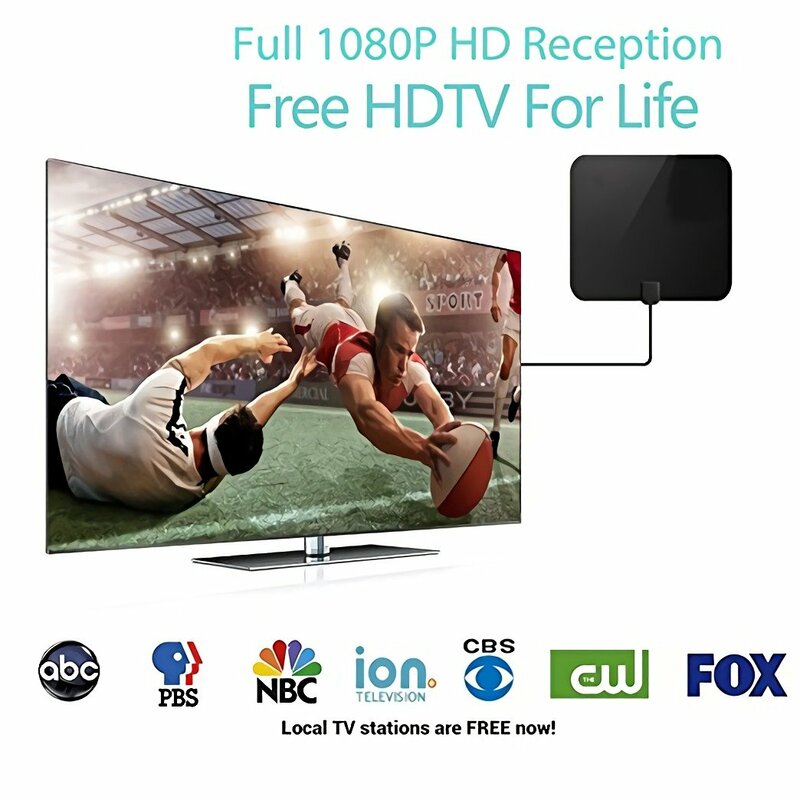 Free HD Channels – With our TV Antenna receives free FULL HD Channels including ABC, CBS, NBC, PBC, Fox and others. Ultra-Thin Design – With thickness no more than 0.02″, making indoor antenna can be placed almost anywhere in your Home to get the best reception Hide it behind the TV, lay flat on a table, or stick on a window or wall. 3-Step To Set Up – Connect antenna to ‘ANT IN’ on the back of any HDTV. Place the Antenna in a desired location. Scan for channels in your television menu. Tips: Try a few locations, scanning each time. 100% Satisfaction Guarantee – 30-day full refund and 12-month warranty with friendly customer service. If you have any issues with reception, please feel free to contact us and we will provide full technical support. ← 2018 Prime Day with detailed list ! The good discounts are constantly being introduced!